Today’s post is about spotting perfectionism in our ourselves and our team, and some proven ways of overcoming it. As leaders it is important we are all aware of the pitfalls which can be associated with this personality trait, so we can help not only ourselves, but also others within our teams (and organisation), particularly if we sense it may be the cause of stress, procrastination, low production rates, and ultimately holding people back. Here are my 10 top indicators for recognising perfectionism – in yourself and your team. ‘Over worrying’ about mistakes and unable to enjoy the successes. Regretting past mistakes, or things which did not turn out as anticipated. Intensely competitive and can not abide doing a ‘poorer job’ than others. 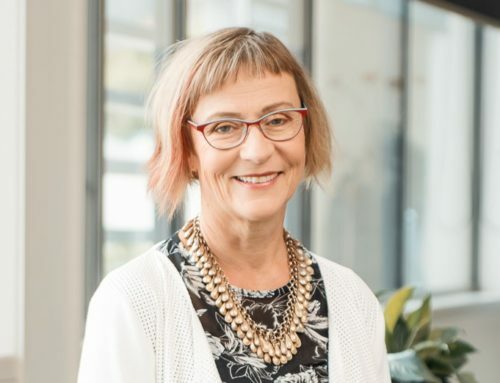 Wanting to do something “just right” – or not at all. Demanding perfection from other people. Failing to ask for help due to the belief it may be perceived as a flaw or weakness. Persisting at a task long after other people have quit. Feeling a strong desire to correct other people when they are wrong. Being highly aware of other peoples’ demands and expectations. Being very self-conscious about making mistakes in front of other people. If you identify with most of the above statements, your perfectionistic tendencies might just be holding you back. For me, one of the most successful ways of reducing my perfectionistic streak has been practicing self-awareness. 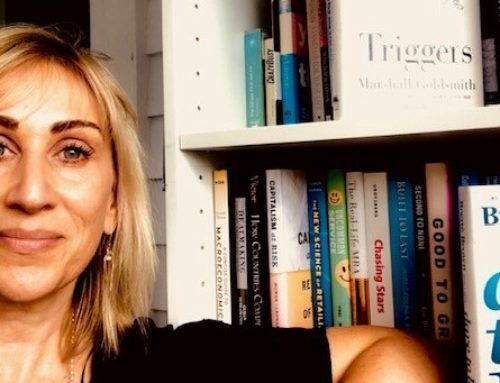 Being kinder to myself, recognising mistakes are the best part of learning, and staying aware of when I am taking a perfectionistic approach, has been immensely helpful in letting go of perfectionism. It is still a constant struggle, but I am happy to announce I am finally letting go of trying to have the perfectly tidy house, with the perfect body, and being the perfect parent, and coach with a perfect blog (and don’t forget the perfect home baking – just like Martha). I love this quote by Author Anne Lamont on perfectionism and I have it on my office wall, for moments when my mate perfectionism comes out to play. 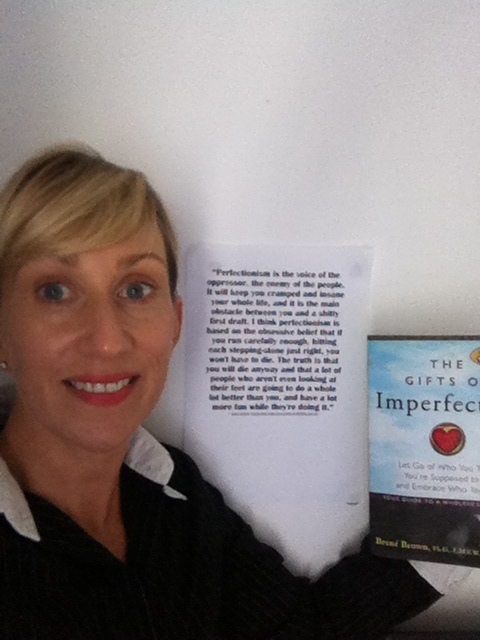 In my office with Brené Brown’s book The Gifts of Imperfection, and my wall quote by Anne Lamott, to help me in overcoming my perfectionism when it attempts to hold me back. Are you, or any of your team members perfectionists? Do you sense perfectionism may be hampering you from reaching your full potential? What other techiniques do you find effective in overcoming perfectionism? I do about 8 of the things that you have mentioned without knowing that i m doing them .But at the same time I want to do things which are beneficial for others or do good for others. My default setting is that of a perfectionalist but on the other hand i want my life to be simple and full of small joys and happniess . There have been times when i became so confused and depressed that i lock myself up in my room and started to cry . To be very honest i will call “perfectionalism a mental disease ” becuase instead of having good feelings and achievements it pushes us to “overthinking” . Whenever i have to make a decision i feel like a war has started in my mind . Even when i m doing a fun task like shopping . I’m reading Brene’s book . Alot of thing are becoming clearer but understanding and knowing thing is just a first step . I am still thinking on how to overcome my perfectionism problem and for me the biggest or you can say the first hurdle is to stop my deafult style of thinking i.e. to do the set task perfectly in this case it is to stop thinking on ” how to overcome perfectionsim ” perfectly and just take a step in this direction. Well i have taken a decision , i am a very reserved person and a overthinker . I m not very expressive because at the time of speaking or sharing of ideas I am struggling with myself as beacuse I keeps on thinking and analyzing the situation to come up with the “BEST possible SOLUTION ” and ends up not sharing any of the idea or opinion because i m still looking for the best answer discarding each of my own idea and opinion in my mind (because it is still not good enough). So I have decided to start writing my views and all . Because instead of accumulating all the thoughts and views or any thought that came in mind i will share it with others this way . And stop my mind to be a ” time bomb ” 😛 .. Thanks for sharing. It is fantastic you are taking the first step – reading Brene’s book is an excellent place to start! Cheers, Suzi.